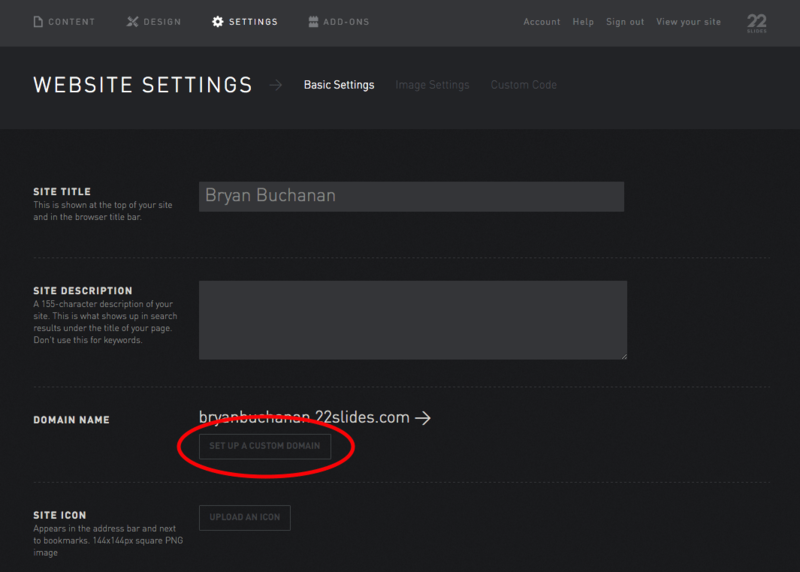 Go to your "Settings" page in your 22Slides control panel and click the "Set Up a Custom Domain" button in the "Domain Name" section. 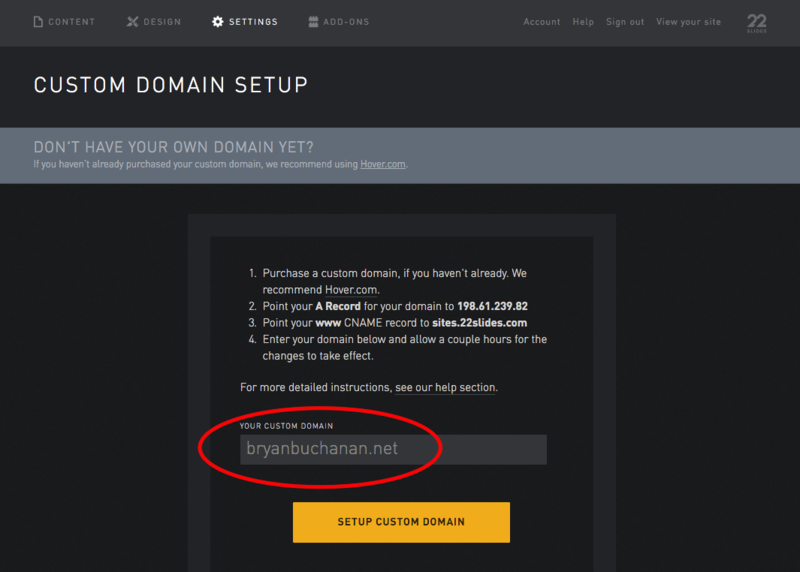 Enter your domain name in the blank and click the "Setup Custom Domain" button. 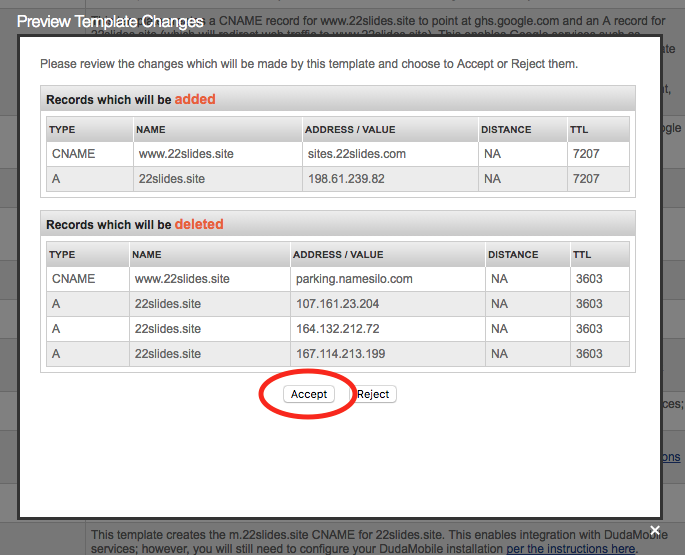 Go to the Domain Manager page in your account by clicking "Manage My Domains" from the top of any page. Click the blue globe icon in the Options column for the domain in question. Answer your Domain Defender question(s) if you use Domain Defender. Make sure your domain is using our default name servers. A bold, red message will appear at the top of the DNS Manager page if the domain is not. If you see this message, simply click the provided link and choose to apply our default name servers on the subsequent page. 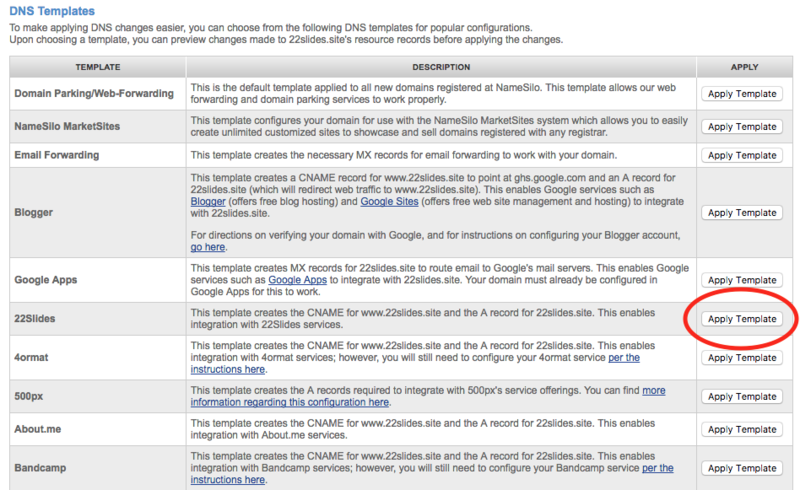 Then, return to the DNS Manager page (step 2 above) to complete the remaining steps below. (Please note that name server changes can take up to 48 hours to propagate).  Select the 22Slides template from the bottom of the DNS Manager page. A popup window will appear summarizing the changes that will be made. Click "accept".